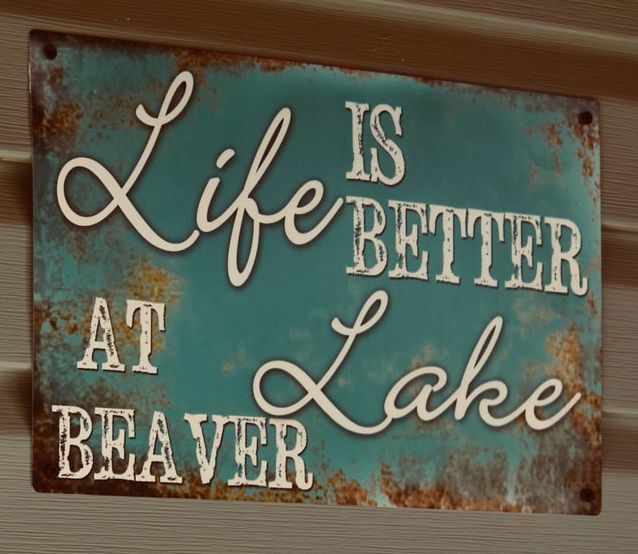 on Beaver Lake, nestled between the alpine town of Eureka Springs and the diverse Ozark Highlands. A place of simple joy that allows you to leave behind the madness of a hectic life and embrace tranquil pleasures. 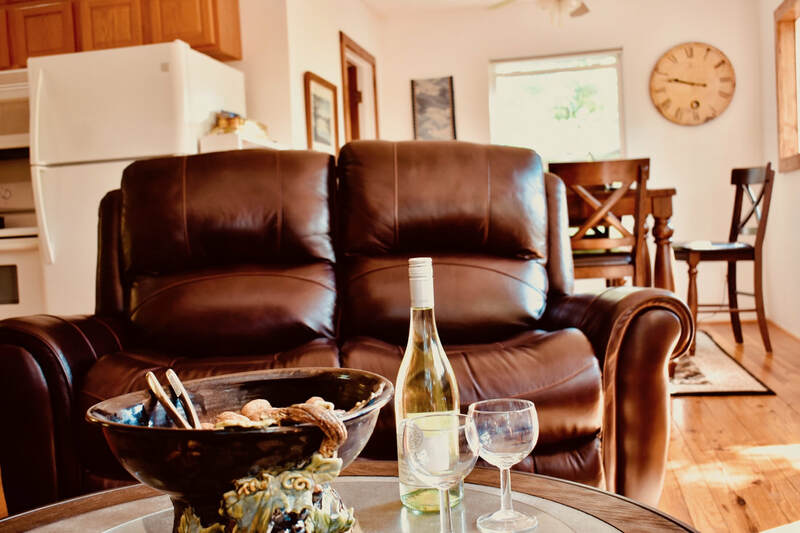 ​Luxury lodging in both the Loft upstairs and the Retreat downstairs. If you are traveling with another couple it's the perfect space. 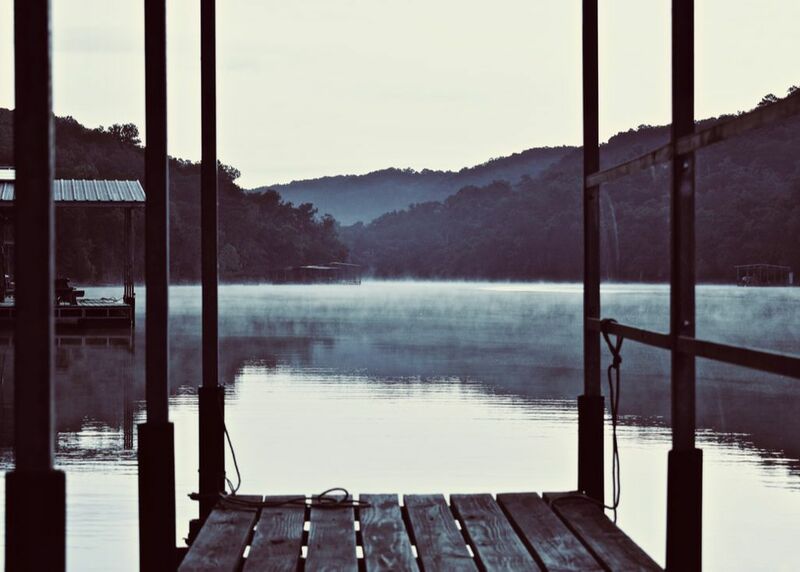 You can have ultimate privacy and still share experiences that make memories in the gem of the Ozarks. 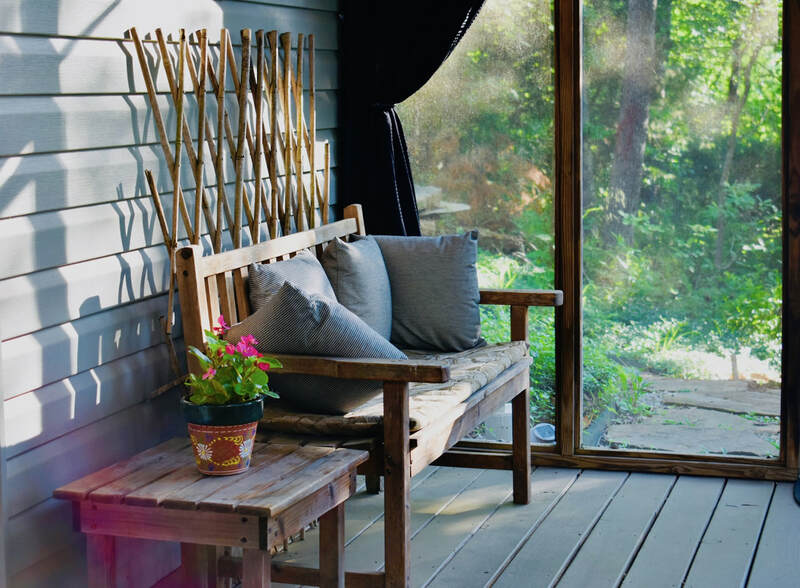 This unit includes a fully equipped kitchen, dining room, a large deck for outdoor dining, and an open loft with a dual adjustable king bed. This is a couple’s ideal vacation home with vaulted ceilings and pine floors. There is a full bath on the main level, and the loft has a convenient half bath. The lower unit includes a plush pillow top queen bed and a fully equipped kitchen. The open floor plan has tiled floors, designer window and bed coverings, and a lovely full bath with closet. There is a bar height table with 2 stools for dining. The living area has an electric fireplace and a large flat screen TV on satellite. The screen room contains the hot tub for two, charcoal grill and resting bench.